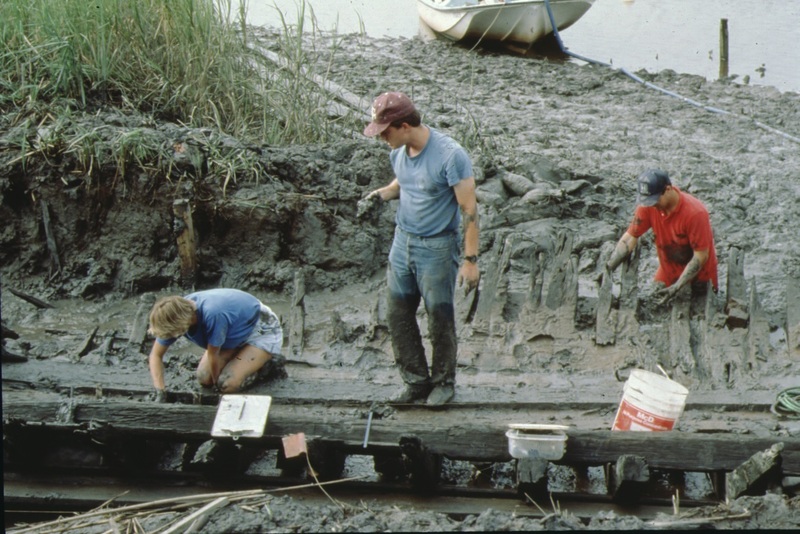 The Clydesdale Plantation wreck was discovered in the fall of 1991 during a survey of the Back River, a secondary channel of the Savannah River. 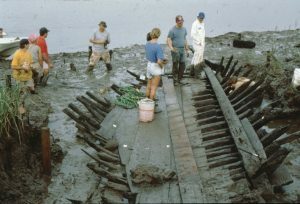 The vessel in the photos was one of 19 derelicts discovered during the survey, along with the remains of numerous 19th-century wharves and buildings. Visit the Clydesdale Plantation 18th-Century Sloop Excavation webpage to learn more! 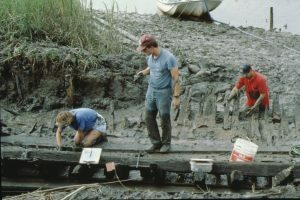 Top Left: Project Director Fred Hocker oversees the excavation. 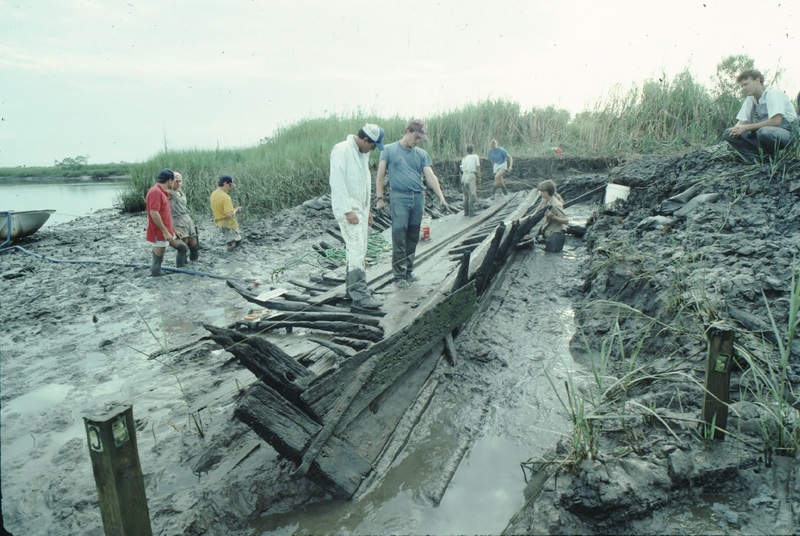 Top Right: The team makes a game plan for the day. Bottom: Inspecting the newly uncovered fromes and ceiling planking.